About - BlueGreen Water Technologies Ltd.
BlueGreen is a privately-held company based in Tel Aviv, Israel, dedicated to developing novel solutions to water-related problems. Lake Guard Blue™ and Lake Guard H2O2™, are floating, slow-releasing formulations of market-approved algaecides designed to prevent the intensification of cyanobacterial toxic blooms in freshwater bodies (aka “blue green algae”). Lake Guard Alum™ is a floating, slow-releasing formulation of aluminum sulfate, currently under development, and designed to replace existing burdensome and expensive alum treatments methods with a cost-effective one. Lake Guard White™ is a floating, slow-releasing formulation of NaDCC (chlorine as the active ingredient), currently under development and designed to provide an additional, most cost-effective protection against cyanobacterial blooms. BG200 is an improved floating, slow-releasing formulation designed to prevent marine harmful algal blooms (aka “Red Tide”). Mr. Appelbaum is the owner of an Israeli investment company operating in the fields of trade and manufacturing and serves as executive chairman or director on the board of multiple private and public companies. Among others, Mr. Appelbaum has served as the Chairman of the Board of the Board of Discount Underwriting and is currently serving as a Director in Discount Capital Markets, both subsidiaries of Discount Bank (TASE: DSCT) (the 3rd largest bank in Israel). Previously, Mr. Appelbaum has held senior executive positions in the public Israel Corporation (TASE: ILCO), HP Israel (NYSE: HPQ) and with the Accountant General of the Israeli Finance Ministry. Mr. Appelbaum holds a Masters degree in Public Administration and a B.A. in Economics, both from the Hebrew University in Jerusalem. Eyal Harel is a lawyer, entrepreneur and investor with many years of experience in technology development, transfer transactions and global, multicultural negotiations. Mr. Harel is one of the owners and serves as the CEO Global of the XinTech (Bio Sciences) group of companies, a boutique investment bank promoting Sino-Western technology transfer transactions and strategic collaborations in the life sciences. Until recently, he held the position of Legal Counsel in Israel for China Civil Engineering Construction Corporation (中国土木工程集团公司) and was involved in some of the biggest construction projects in Israel. Mr. Harel holds an LLB. and an additional diploma in East Asia Studies from the Hebrew University in Jerusalem and an MBA from the Hong Kong University of Science and Technology. 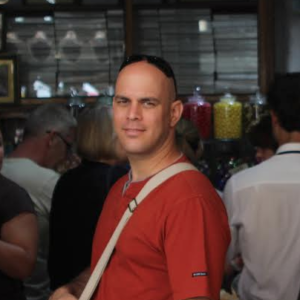 Dr. Harel is a serial entrepreneur with more than 15 years of experience in management and business development. 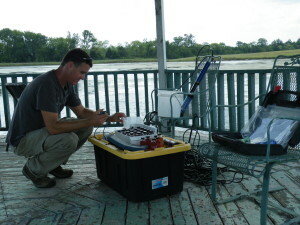 Dr. Harel has led the development of BlueGreen’s Lake Guard™ from concept to product, positioning it as the first commercially available unlimited solution to combat large-scale harmful algal blooms in an annual multi-billion dollar market. Dr. Harel has received his Ph.D. in Environmental Microbiology from the Hebrew University of Jerusalem, Israel, and was a postdoc at the Dep. of Molecular and Human Genetics at Baylor College of Medicine, Houston, TX. Instrumental to the development of BlueGreen’s portfolio of products, Dr. Weisshaus is an experienced R&D project leader, with more than a decade of experience in the Ag-biotech industry. Dr. Weisshaus received his Ph.D. in Microbiology and Genetics from the Hebrew University of Jerusalem, Israel, where he researched and commercialized a new microorganism for industrial use. Dr. Weisshaus has developed several commercial products involving microbial interactions and plant genomics. Prof. Aaron Kaplan has received his Ph.D. in Plant Biology from the Hebrew University of Jerusalem, where he holds a position of Full Professor. He has been a post-doctoral research associate at Stanford University, USA, and a visiting professor at Nagoya and Tokyo universities in Japan and Konstanz University in Germany. He is serving as the director of the Arid Ecosystem Research Centre and has (and still does) served on numerous national and international research panels, scientific societies and granting agencies. He also serves as a reviewer for leading journals and granting agencies in Israel, USA, Europe, Canada, Australia and Japan. 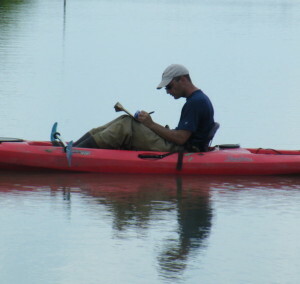 Prof. Kaplan is recognized globally for his work and findings on the mechanisms that drive ecological processes, such as the response of photosynthetic microorganisms to changing environmental conditions and those which determine the dynamics and composition of phytoplankton assemblages. 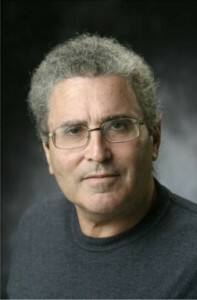 Prof. Kaplan has published more than 140 research papers, many of them in leading scientific journals, wrote several scientific reviews and chapters in books and obtained two patents. 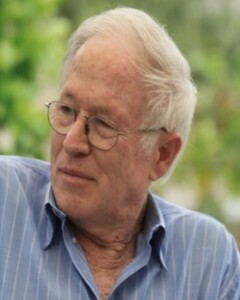 Prof. Braun has received his Ph.D. in Biochemistry from the Hebrew University of Jerusalem, where he holds the position of Emeritus Prof. of Biotechnology. He has been a post-doctoral research associate and visiting professor at Cornell University, USA, and a visiting professor at the FZ Karlsruhe, Germany. In 1998, Prof. Braun was awarded the Harry Kay Innovation Award. Prof. Braun has obtained 21 patents, published more than 150 research papers and wrote numerous scientific reviews and chapters in books. Prof. Braun’s experience includes years in the supervision of industrial R&D, including five of them as the Chief Scientist of Biopolymer Technologies N.V., Belgium. He is currently the R&D manager of LycoRed, Ltd.